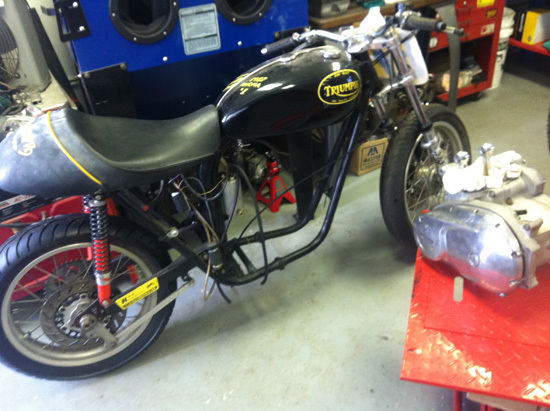 Triumphs T20 Tiger Cub 200cc plunger frame lightweight. 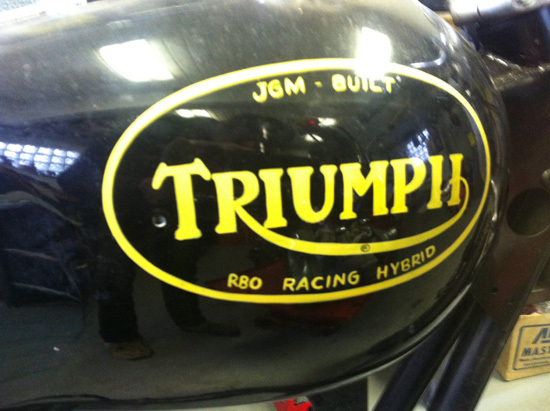 This January, myclassicmotorcycle.com's John Lawless and I went out to Vegas for the 3 major vintage motorcycle auctions - Bonhams featuring the DuPont collection which came from an estate just 15 minutes from my home. 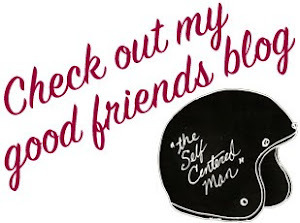 Most of the collection were high ticket items like the Norton Manx and the Vincent Black Shadow - as well as a slew of very early Indian Motorcycles (The DuPonts once owned the Indian Motorcycle company). 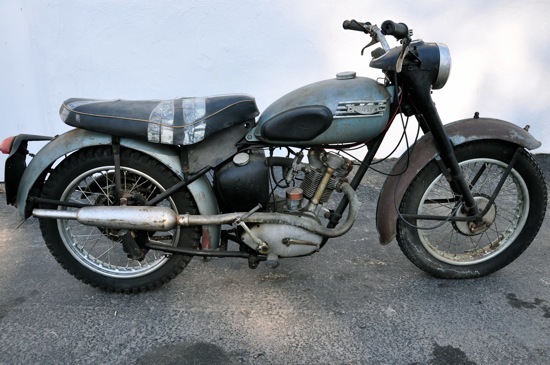 My interest lay more in the obtainable bikes, a 1956 Triumph T-20 Tiger cub in particular. In original paint, the only thing missing was the front pedestrian slicer license plate and the correct exhaust header. I bid and won. 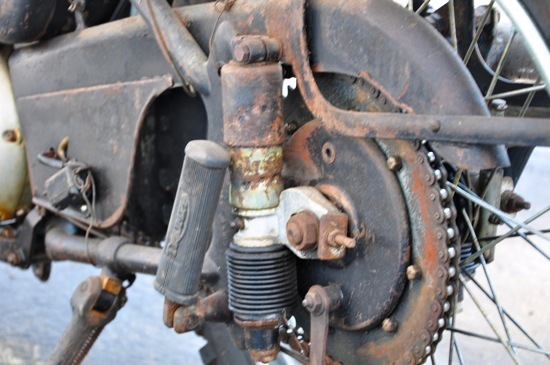 After shipping the bike BACK to PA (ironically, just a few miles where it was stored for the last couple of decades) I inspected the bike and found that the motor was stuck and despite looking a bit rough (patina!) relatively unmolested. I pulled the motor apart and found that the cylinder was completely rusted out due to water sitting in it for years. I ordered gaskets, a cylinder, a piston and cables from Greystone Tiger Cub Spares in the UK and scored some oil seals and bearings from local Cub guru, John Melniczuk at J and M Enterprises and the rebuild is under way. The pla: keep it simple, original but a decent runner for around town. obviously new tires will be fitted and somewhere down the road I may paint it. The beauty of the early cubs (53-56) is the plunger frame (Triumphs only plunger model was this and its predecessor, the T15 Terrier), and the gorgeous lines of the bike which mimic a full size Triumph. While I love the later cub scramblers, they look like dirt bikes while the early ones look specifically designed for on road only. I love that it looks like a scaled down version of Marlon Brando's famous Thunderbird in the Wild One. The high pipe was fitted later but I have the original low pipe for the bike. The headlight nacelle is such a great touch. This should have a needle indicating gear postion. CONTEST! 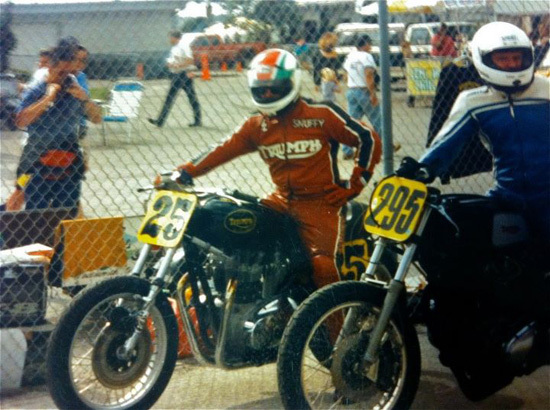 ID the riders and the race and win a Smoke & Throttle T Shirt! First person to correctly ID these riders and the historic race wins their choice of one of the two Smoke and Throttle T Shirt designs. 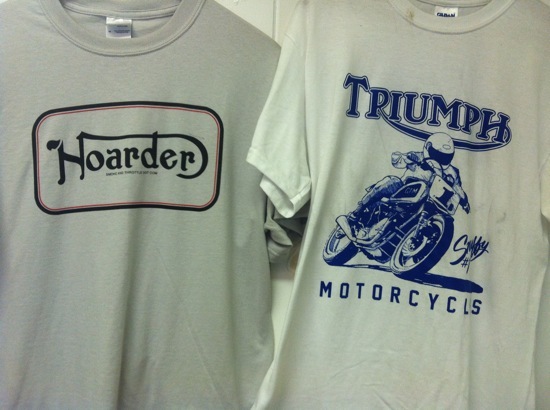 Hoarder shirt (s-xxl) or Triumph "Snuffy Smith" shirt (s-xxl). Bonus goodies included if you explain the significance of this race. Win one of these shirts! 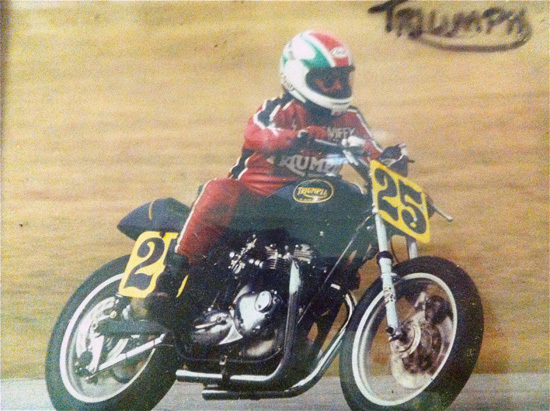 For those who missed the first post, I recently acquired one of my late fathers old race bikes from my cousin/bike builder, John McIlvaine. 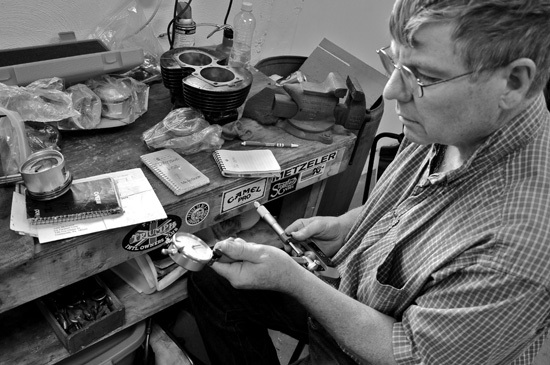 John was a Triumph/Honda mechanic for years and spent the better part of 1971 as a traveling wrencher for ex AMA Pro, Gary Fisher. His depth of knowledge is deep. Together we are rebuilding the racer and hopefully I will have it out on the track this year sometime. 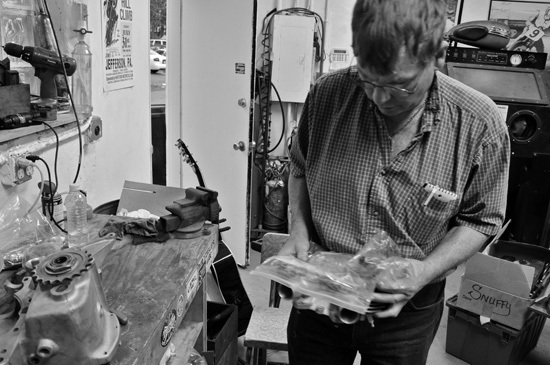 Yesterday John came over to my shop to help me get a game plan for the engine rebuild. We are detuning the bike a bit as I have never raced but it's still a super hot motor with a lot of fine tuning done over the years. Goal? Make this Triumph go fast! First we tore down the motor and split the cases, cleaned and evaluated everything. Adjustments were made as necessary. The number one priority is to rebuild the top end to suit my needs as a beginner. 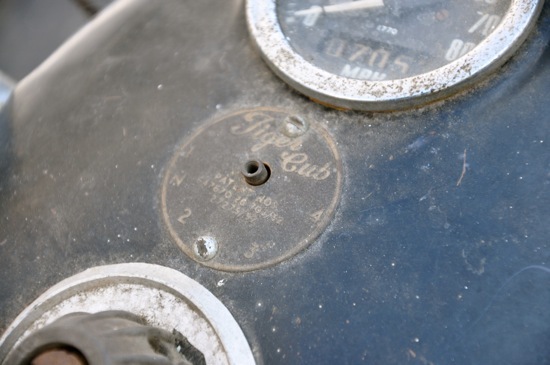 John took measurements of the cylinder bore and pistons. 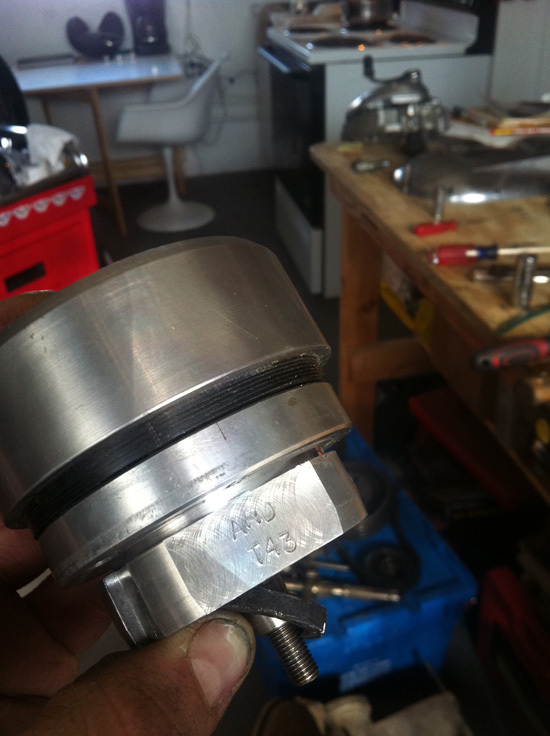 We decided to go back to a stock cylinder for now with 9:1 compression pistons. The alloy cylinder/high compression pistons can be used later - once I get my feet wet. 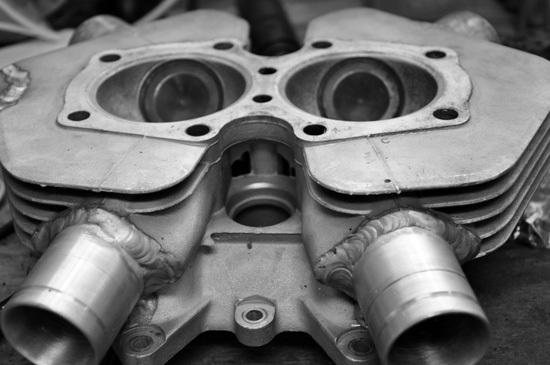 The head needs to have the valve seats re-dressed. John decided to take them up to the machinist who did the work originally. Cylinder is being sourced and will go straight to the machine shop for a bore and hone. 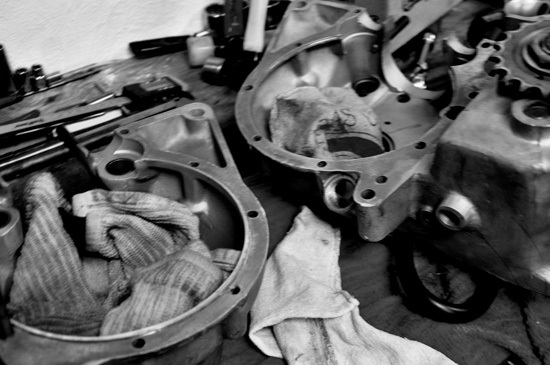 Fresh pistons and oil seals will be fitted to what we have and the motor will go back together. Check back for frequent updates. 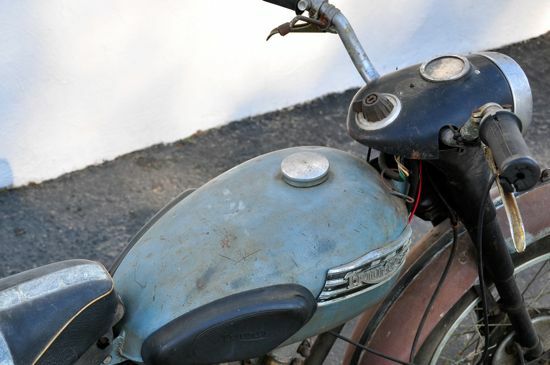 every bit of data has been recorded for this bike throughout it's life. 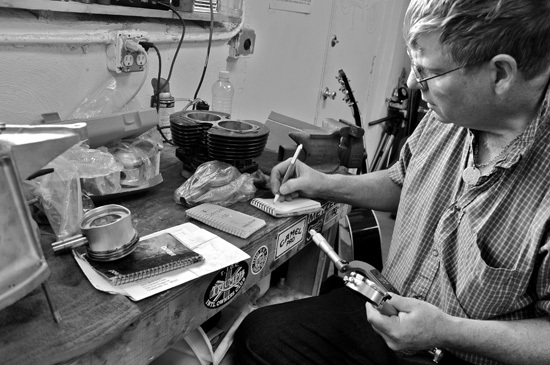 john jots down more notes. John took the cylinder head with him to drop off to the machine shop. Randy Hoffmans Velo-Manx KTT Ahrma racer. 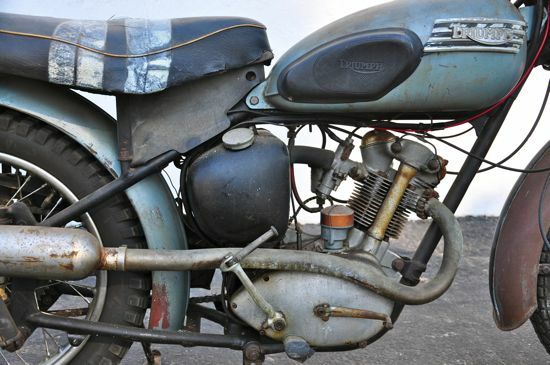 One of the most intriguing motorcycles to hit the vintage racing circuit this year is without a doubt, Randy Hoffmans Featherbed framed 49 KTT Velocette. With a similar bevel-drive overhead-cam set up as the Manx, it seems like a perfect fit, though I haven't seen another one like this anywhere. While in Savanah Georgia for the AHRMA season opener I had a chance to hang out with Randy and shoot some pictures of his bike. After a couple laps he came in with clutch problems. If anyone is familiar with the Velo clutch, they'll know the 20 spring, oddly designed set up as a real tedious lesson in tinkering. Fortunately, Velo expert Dave Roper was on hand to help sort out the issues. 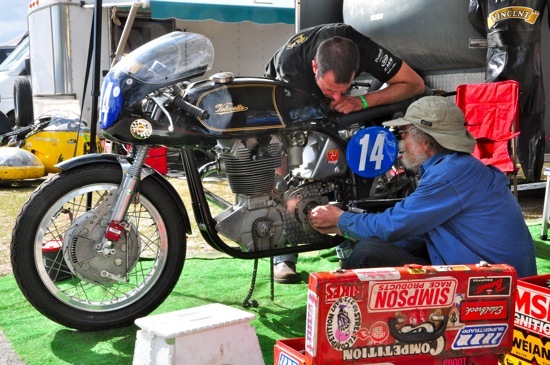 Though he ended up not competing that weekend, Randy got a feel for what the bike needed after it's 20 some year hibernation. Little is known about the motorcycles origin other than who he bought it from (anonymous) and said seller knew little about the bikes history either. As info comes in, it will be posted to Smoke and Throttle. For now, check out these specs and drool over the pics! Randy noted he only uses Castrol R oil in this bike. Wise choice. The bike in all it's glory. Roebling Road 2012. Randy and Dave Roper sorting out the clutch. 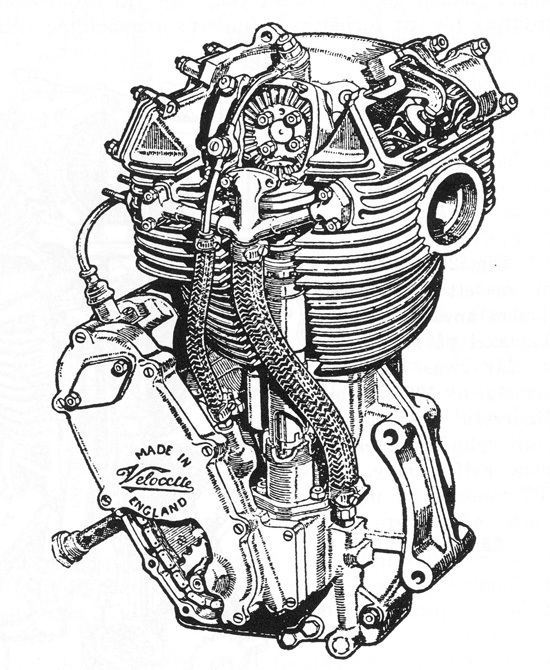 exploded view of the KTT. Bevel drive OHC design similar to the Manx. Good luck this season Randy! We'll be checking in for updates. I am my fathers son. I grew up going to the races with my father, the late Snuffy Smith. I always loved the hustle and bustle of the pit area. Rushing to get the jetting corrected before the next heat race, or trouble shooting timing issues with minutes left before the green flag drops. Multiple people tearing into a bike like doctors working on an accident victim after being wheeled into the E.R.. It excited me then - and as I've gotten back into going to races - it excites me even more now. I knew after last weekends trip to Roebling Road that wrenching on my own bike and competing was just something I HAD to experience. 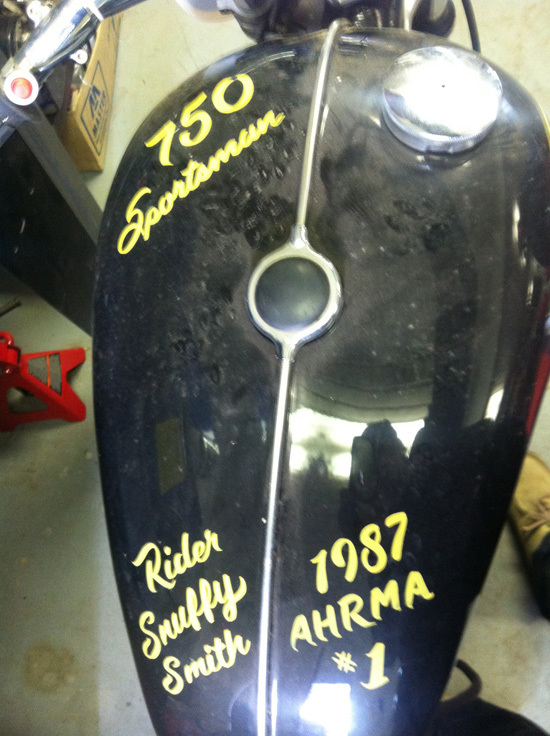 I was aware of a motorcycle that my cousin John McIlvaine built for my dad to race back in the 90's. It was sitting in John's shop gathering dust. A few years ago, John offered it to me for next to nothing but I just wasn't ready. Last weekend, I realized that whether I was ready or not, it was time. I got home at 3:30 am Monday morning and shortly after lunch that same day, I was hauling the 1976 Triumph T140 back to my garage. The rebuild had begun. My dad on THE bike. The bike with the engine pulled.